Some House members criticize the Senate bill as too weak on accountability. WASHINGTON — A showdown is brewing over sexual harassment reform on Capitol Hill, with some critics charging that the latest legislation is too weak on victim protections and the use of taxpayer money to settle cases brought against members of Congress and their staffs. The Senate passed its version of the legislation by a unanimous vote on Thursday, nearly three months after the House voted out their bill. But as the two sides head toward a reconciliation, some House members are raising objections to the Senate version, which they claim doesn’t mandate enough accountability of members who are accused of improper behavior. 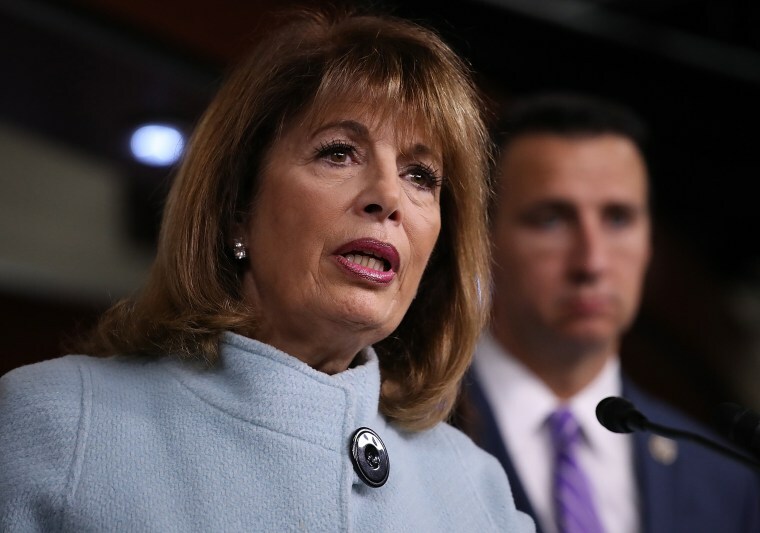 “I look forward to going to conference because (the Senate bill) appears to shift the power back to the institution instead of the victims,” Rep. Jackie Speier, D-Calif., said in a statement. While both bills require a lawmaker who enters into a settlement over sexual harassment accusations be personally financially responsible for payments, the Senate bill is much more limited in scope. In the Senate bill, a lawmaker must pay only in instances of sexual harassment and not for other forms of discrimination against a subordinate. It also narrows the definition of harassment, leading critics to say these two actions create a loophole, making it more difficult to reach a sexual harassment claim. They say the wrongdoing can be categorized as discrimination. The Senate bill also enables the Ethics Committee to review the case when a member is expected to pay a settlement. Critics say that process creates an opportunity for lawmakers to be excused from personal accountability of payment. Going forward, Congress has two options: The House can simply pass the Senate’s bill or the two chambers can enter into a conference committee to reconcile the differences, a step in the process that would enable the House to make changes. If altered, the legislation would then have to be voted on again by both the House and Senate. House Democratic Leader Nancy Pelosi, D-Calif., is calling for a conference committee. “Leader Pelosi believes the House and Senate should go to conference given the unanimous, bipartisan vote in support of the House position,” spokesman Drew Hammill said. Sen. Amy Klobuchar, D-Minn., who helped negotiate the Senate version with Sen. Roy Blunt, R-Mo., has said that the bill isn’t perfect, called it a “major step” forward. Sen. Kirsten Gillibrand, D-N.Y., who has been a staunch advocate of harassment victims and threatened to oppose the legislation if it didn’t address her concerns, has also said she will support it. “There are some things and some words and some phrases that we certainly would have liked to be better, but I think this is a great step forward that is far better than where we were and in a different Congress we can continue to improve it,” she said. Both bills make significant changes to the reporting process for a victim. It eliminates the mandatory “counseling” and “cooling off periods” that accusers are currently required to go through when filing a complaint. While the House bill also eliminates the mandatory mediation, the Senate bill softens it and puts the onus on the victim to opt out within ten days of filing a complaint. Both bills also provide victim protections to unpaid staff such as interns and fellows and it implements a workplace-wide anonymous survey to provide data on workplace safety and harassment.